Estee Lauder (NYSE: EL) has displayed progressive growth in revenue in the last few quarters. In the latest quarter, the company’s revenue grew by 16% y-o-y, driven by meaningful organic growth in its Skin care and Makeup segments. 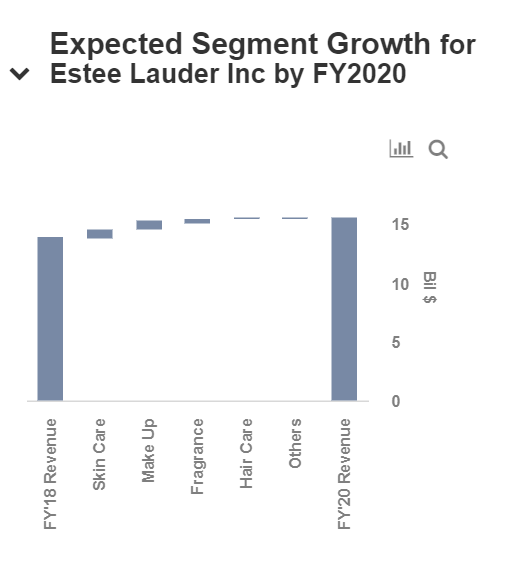 Estee Lauder’s Skin Care segment constituted one-third of its sales, recording a 24% growth driven by strong innovations, increasing demand from younger consumers, and gains from its hero products – Estée Lauder, La Mer, Origins, and Clinique brands. Further, EL’s makeup segment continued to see strong sales, with an 11% increase in the revenue driven by strong growth from its brands viz. Estée Lauder and Tom Ford, Too Faced, BECCA, and La Mer. Moreover, the Fragrance segment revenues increased 12% y-o-y, primarily due to double-digit gains across all geographies, and the Hair care segment revenue rose by 6% owing to the successful launch of new Aveda products. In all, EL delivered a solid FY 2018 as the company remained focused towards its new strategies, made successful value enhancing acquisitions, and executed well on its productivity initiatives. Going forward, we expect the company’s revenue from all the segments to grow, as it continues to work on its long-term strategic plan for sustainable growth. Accordingly, we forecast the company’s revenue to grow at a compound annual growth rate (CAGR) of 5.8%. We have built an explanatory dashboard – Estee Lauder’s Revenue Growth In The Next Two Years – to outline the major drivers of revenue over the next two years. 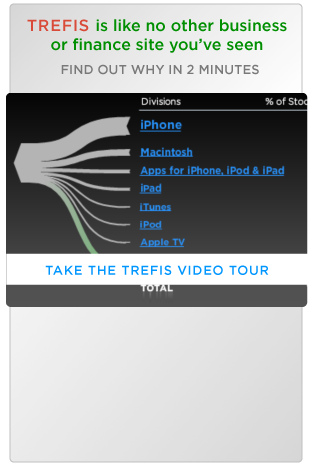 You can make changes to our assumed figures to arrive at your own revenue and growth estimates for the company. Estee Lauder Inc. generates revenue from five key segments – Skin care, Makeup, Fragrance, Hair Care, and Other Segment. As per our analysis, and in line with the guidance provided by the company, we believe that Skin Care and Makeup both will continue to report progressive growth in the next two years. With each year the Skin Care & Make Up segment will grow stronger as its sales strengthens in Europe, the Middle East & Africa, China, and due to travel retail. In terms of growth, both the segments are expected to grow at an annual rate of ~6% where Skin care is expected to rise from $5.5 Bn in 2018 to $6.2 Bn 2020, whereas Make Up will rise from $5.6 Bn to $6.3 Bn. This growth will be driven by strong demand from young millennials in newer regions. For 2019, EL has aggressive growth strategies that will enable it to maintain its dominance in the beauty market. Also, the company is on track with the implementation of the Leading Beauty Forward initiative, directed toward better-management of operations, which will boost its revenue growth in the coming years. All these factors, coupled with strong sales momentum, will enable Estee Lauder to continue to grow its top line.